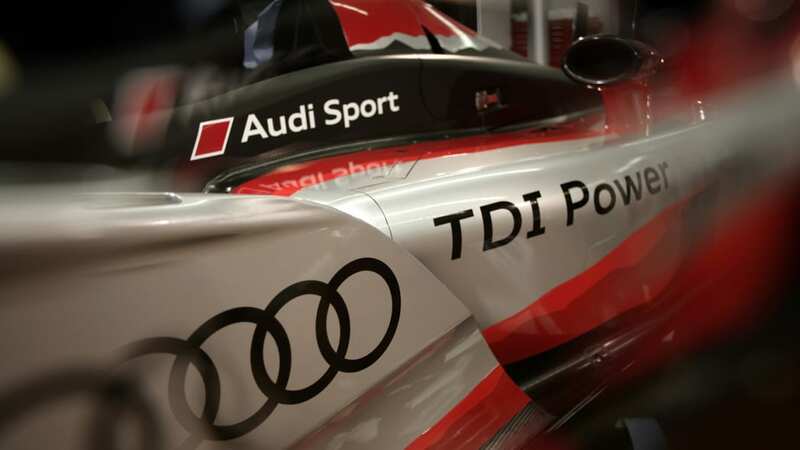 Audi has just dropped a bunch of photos of the new livery that its R15+ TDI race cars will wear for 2010 beginning with their competition debut this weekend in France. 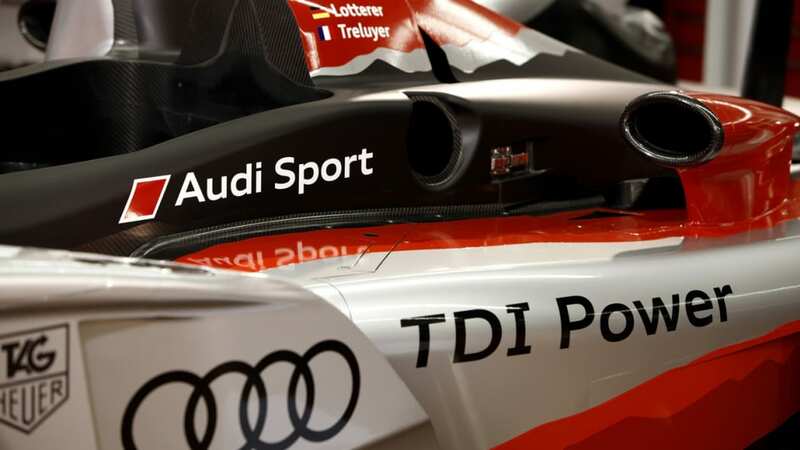 The heavily revised R15+ features a completely new aerodynamic treatment up front and along the sides, a change which Audi hopes will allow the car to have both better grip and lower drag than than last year's model. 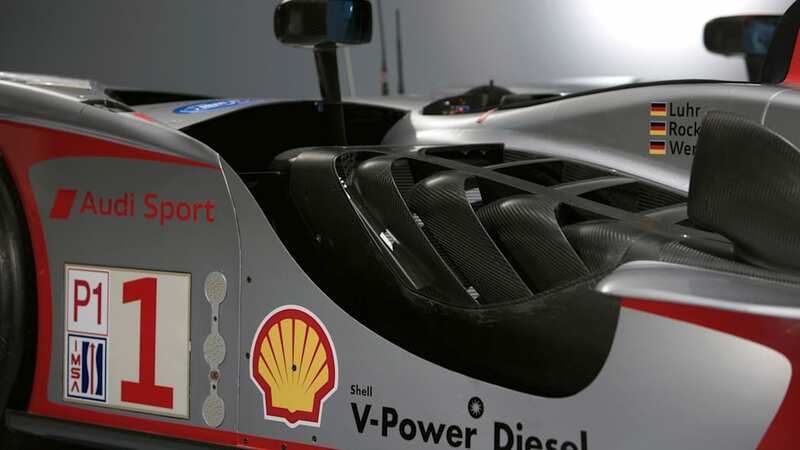 In fact, it looks like almost nothing but the cockpit area has been carried over, with the racer's side-pods and even the rear wing being heavily re-worked. 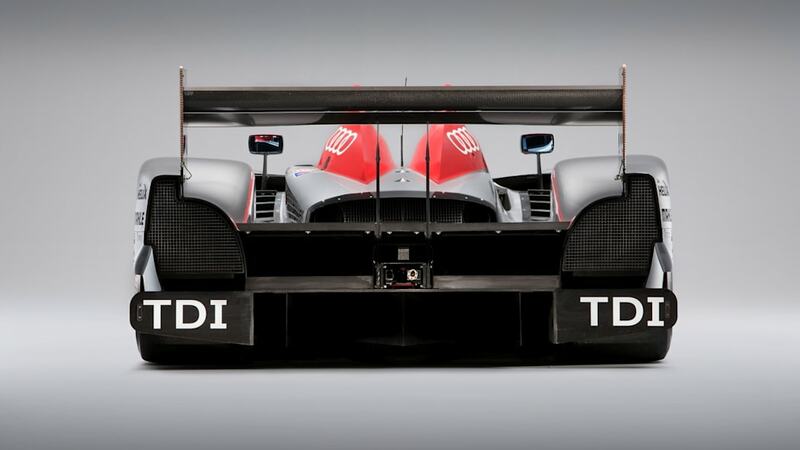 The 2009 car was something of a disappointment and for the first time in a decade (aside from 2003 when Audi stepped aside in favor of sister brand Bentley) was handily beaten at Le Mans. 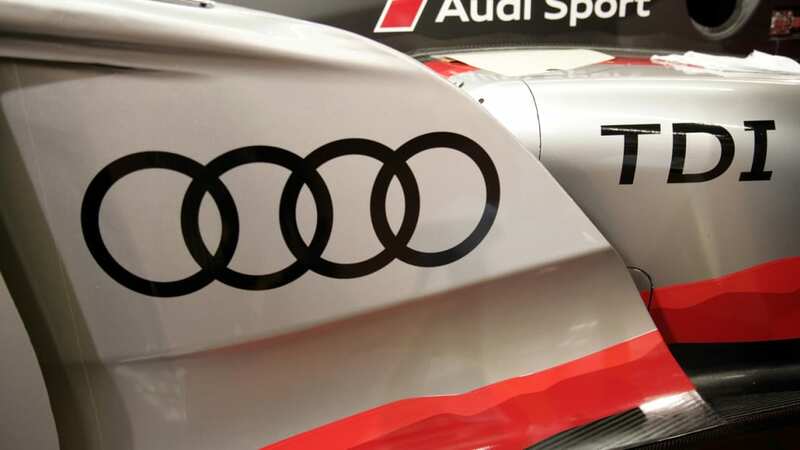 Audi opted to skip last month's American Le Mans Series opener at Sebring to spend the time testing. 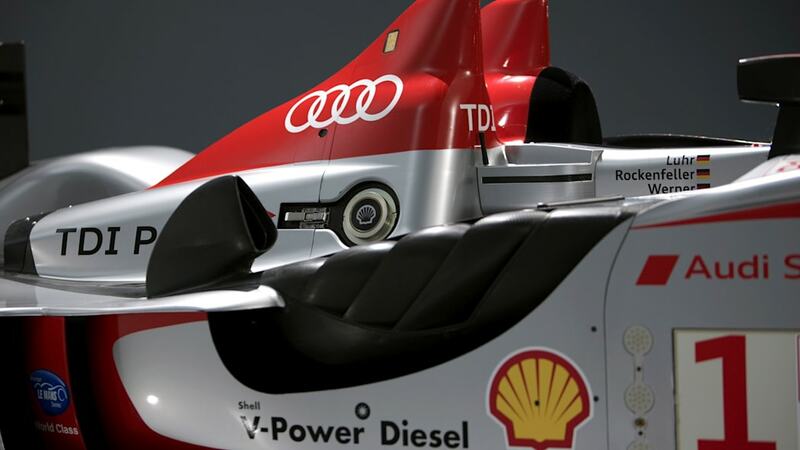 Only one R15+ will run at Le Castellet this weekend for the opener of the Le Mans Series, and we don't expect to see the R15+ racing in North America until the Petit Le Mans in September. 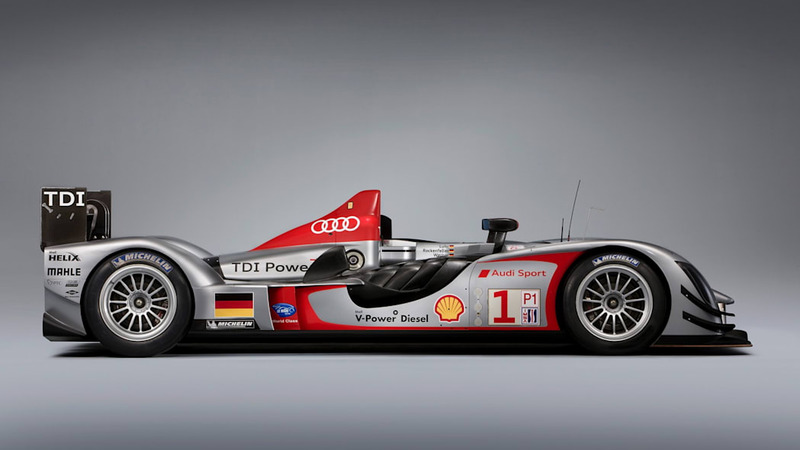 # Audi design team demonstrates "pleasure in efficiency"
Ingolstadt, April 5, 2010 - Audi wants to surprise the spectators at this year's 24-hour race at Le Mans (France) with a progressive design: the Audi Design Team created a fresh outfit for the innovative diesel race sports car that bears all the hallmarks of "pleasure in efficiency." 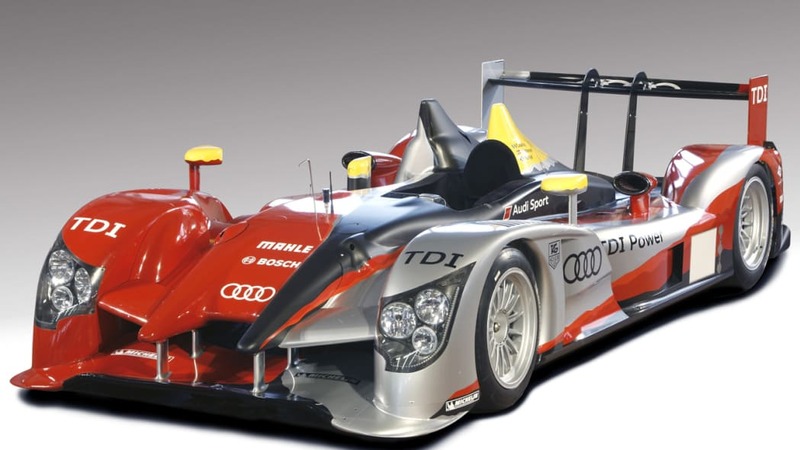 Whereas silver was the dominant color of the Audi R15 TDI last year, the 2010 model boasts a radical new design that features more red. 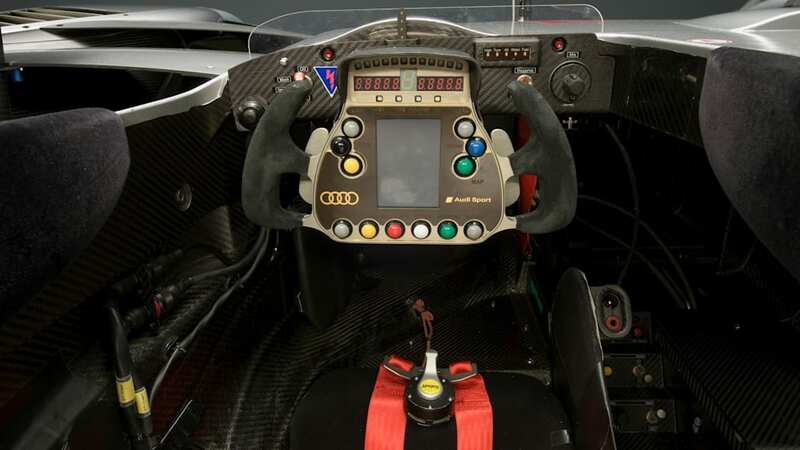 In addition, large areas of the Le Mans race sports car that is internally designated as "R15 plus" will be kept in a purist black carbon-fiber look. 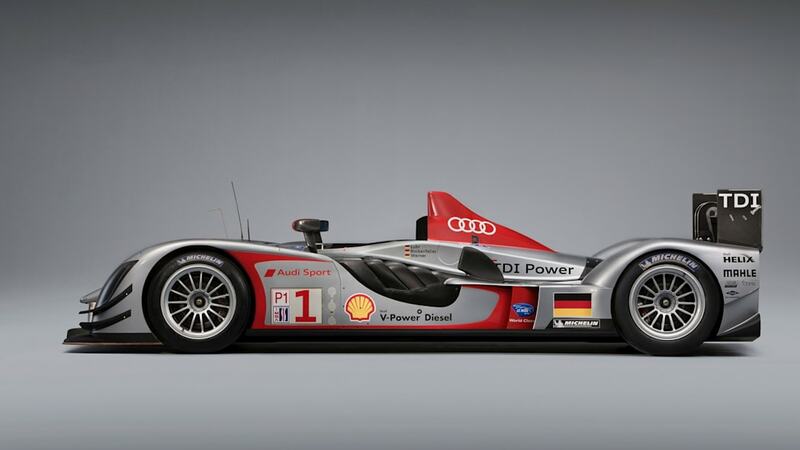 "We're happy that we were allowed to give the car such a progressive look," say Markus Auerbach and Tobias Drews from the Audi Design Team. 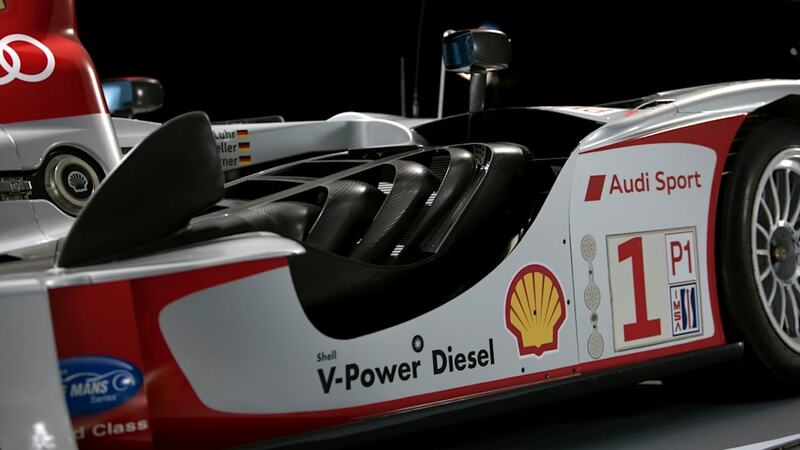 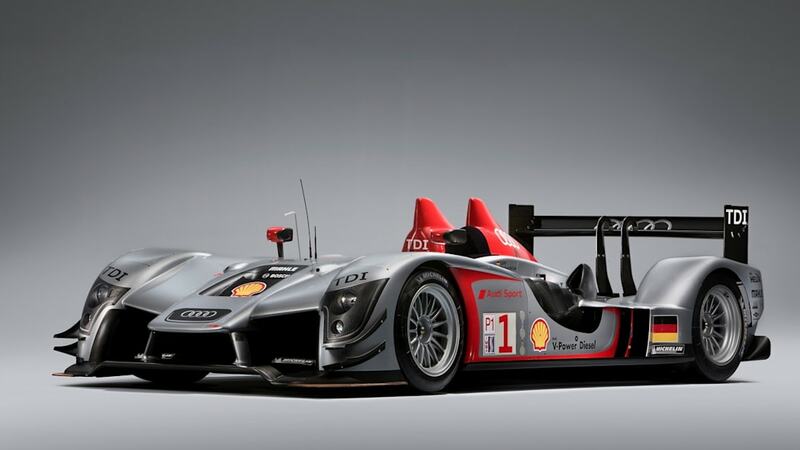 "We wanted to add a dash of surprise when the Audi leaves the pits at Le Mans. 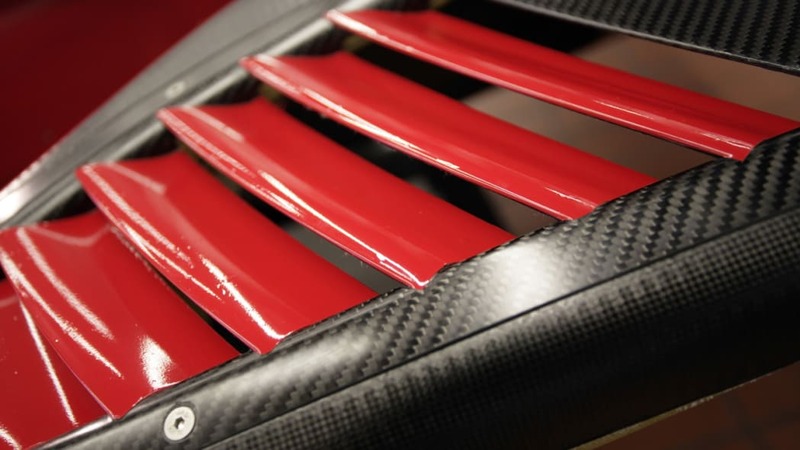 We practically opened up the bodywork and are exposing the light-weight construction and its uncompromising technical development - and with a little rock 'n' roll for good measure." 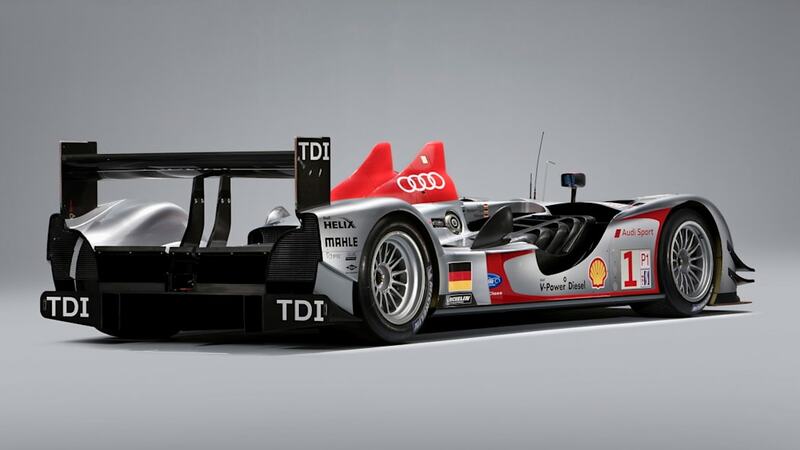 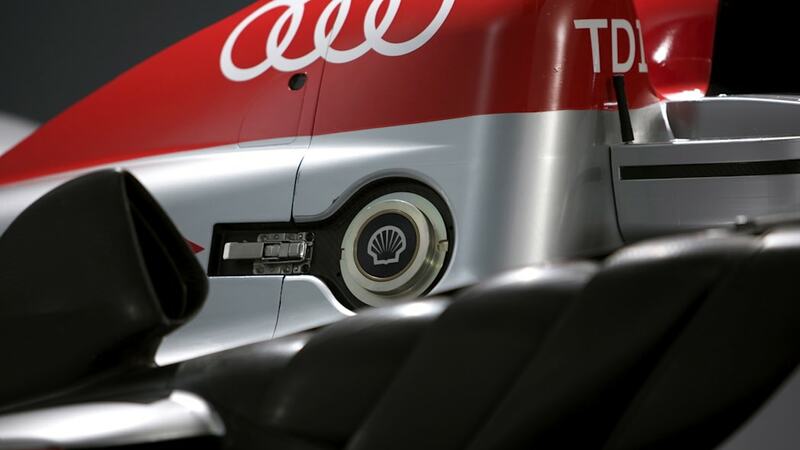 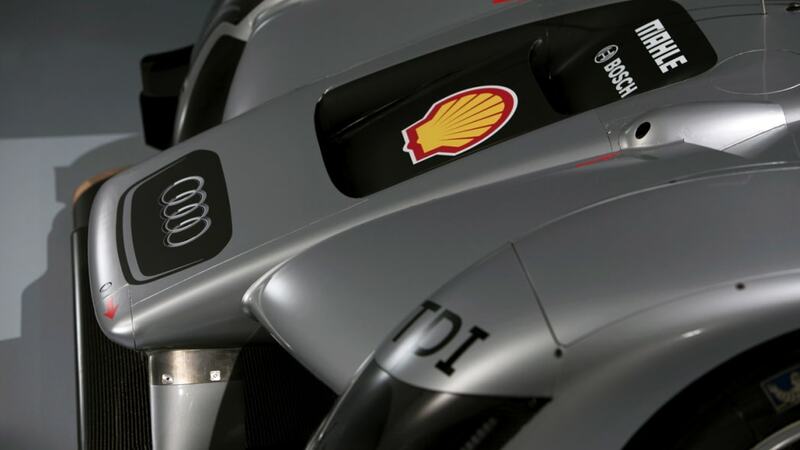 The Audi R15 TDI sporting its new design will make its debut at the Le Castellet 8 Hours on April 11. 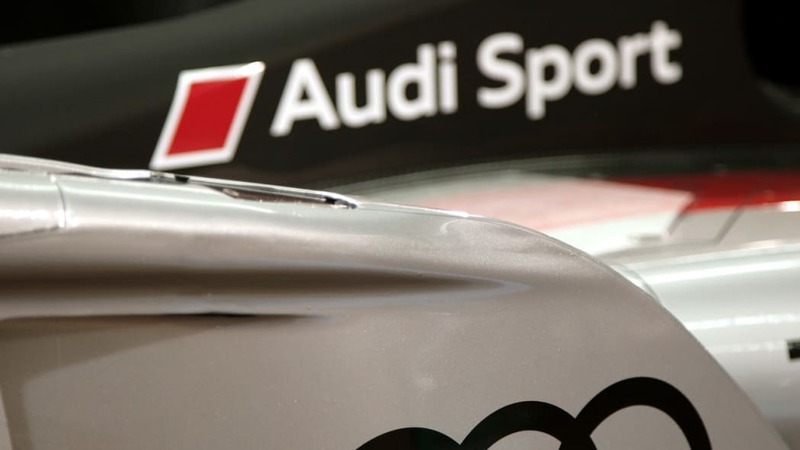 Audi Sport Team Joest will contest the 2010 season opener of the Le Mans Series in preparation for the Le Mans (France) 24 Hours on June 12/13. 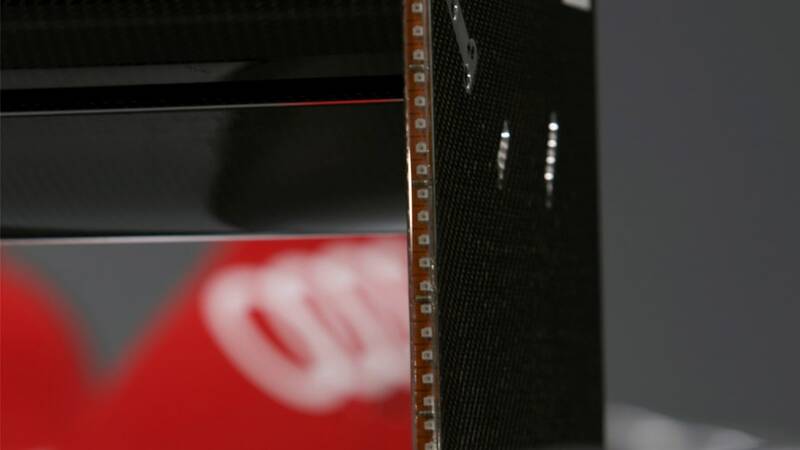 Another test race is planned at the 1000-kilometer race at Spa-Francorchamps (Belgium). 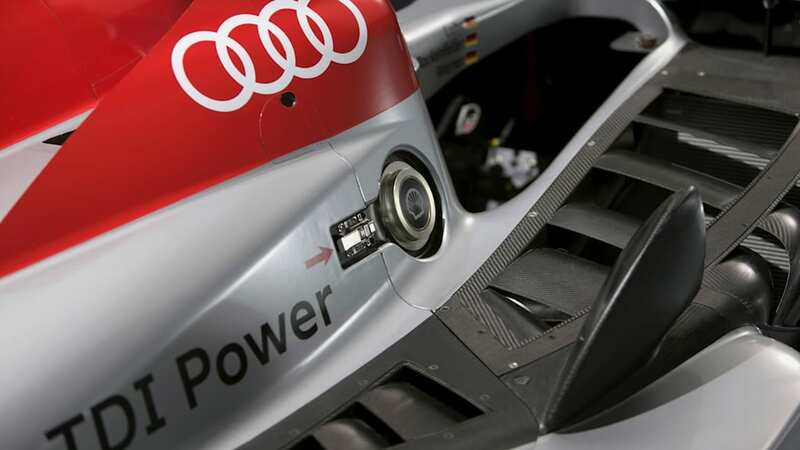 "The race at Le Castellet comes at a very early point in time for us and is nothing but a test in racing conditions," stresses Ralf Jüttner, Technical Director of Audi Sport Team Joest. 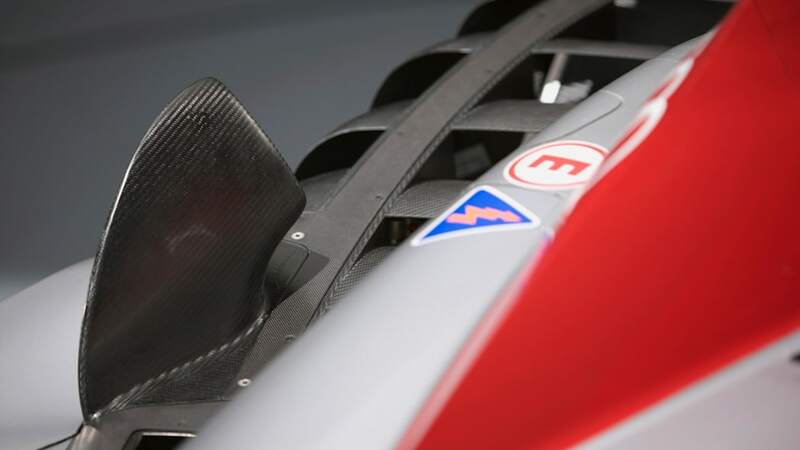 "Even though it's a difficult logistical undertaking, we wanted to gather experiences with the R15 plus at a race as early as possible. 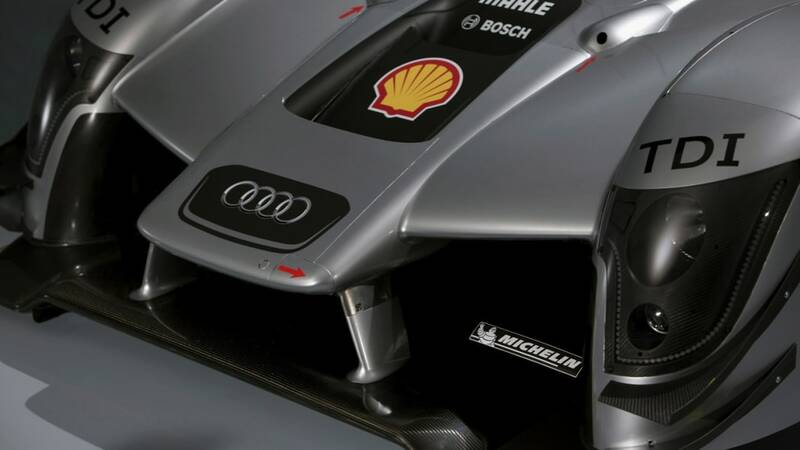 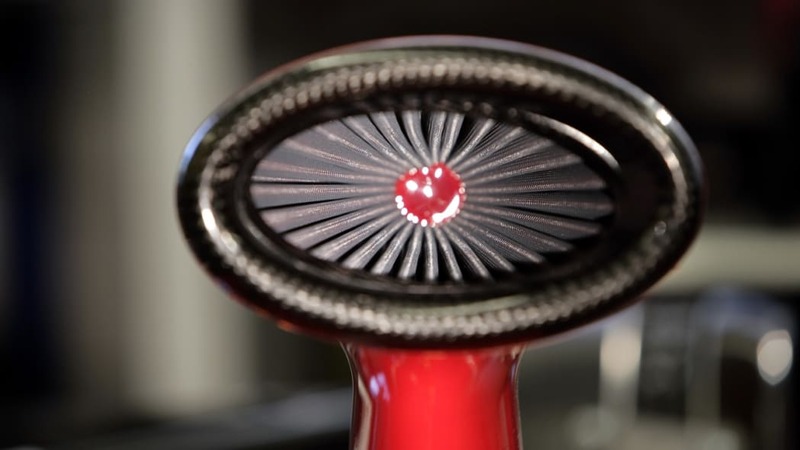 Le Castellet offers the opportunity to do this." 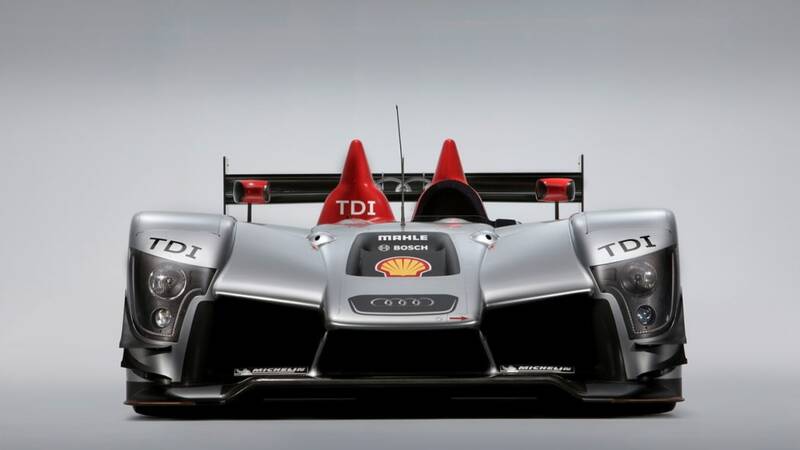 The 2010 version of the Audi R15 TDI completed a roll-out at the Audi test track in Neustadt at the beginning of March. 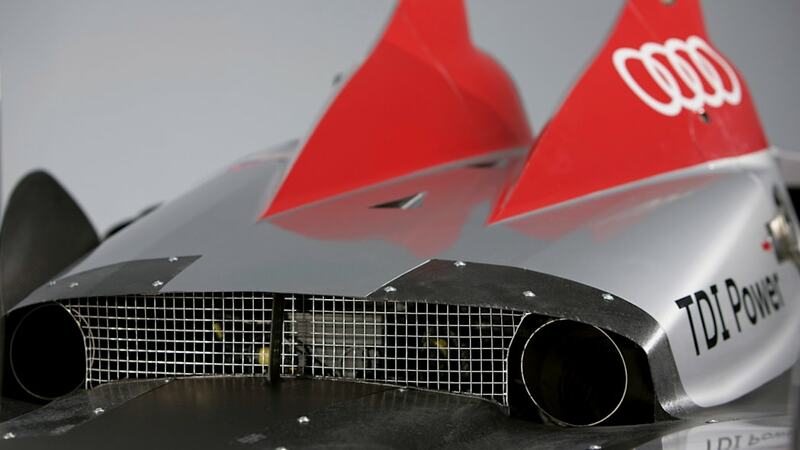 The prototype was subsequently flown to the USA for initial tests which primarily featured aerodynamics trials. 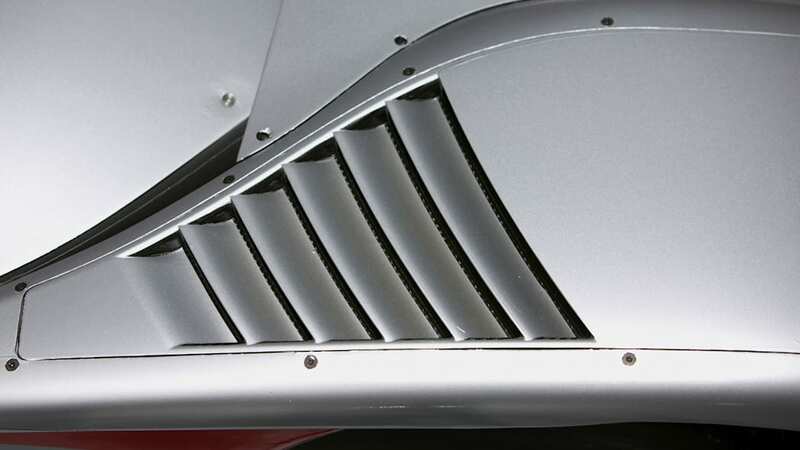 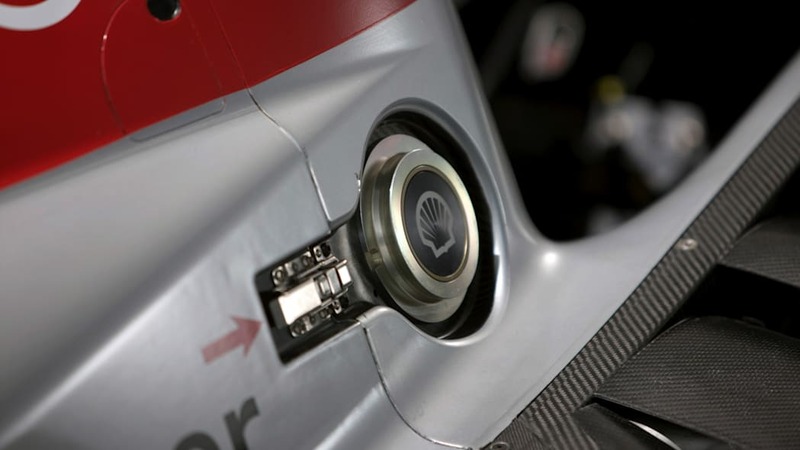 A five-day endurance test followed at Sebring (Florida) at which about 5 500 kilometers were reeled off without any technical problems worth mentioning. 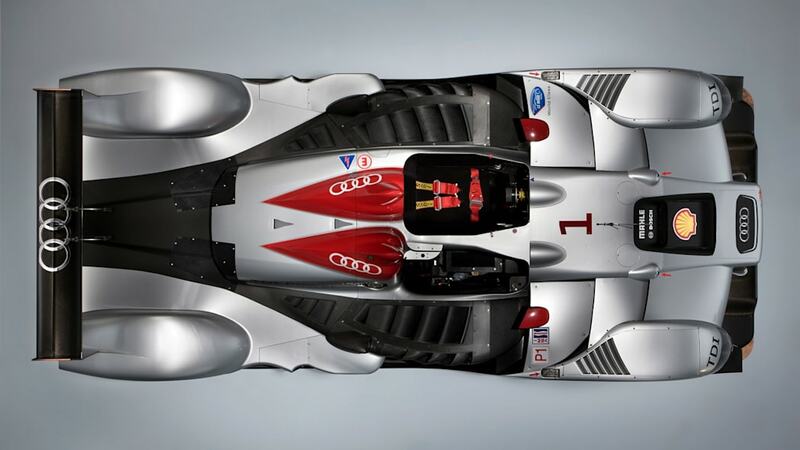 In Europe, the final set-up work with a view toward Le Mans is on the agenda. 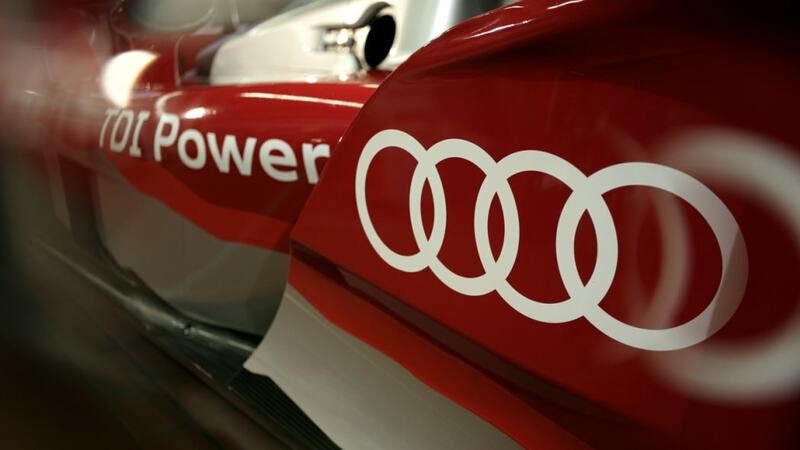 Further track tests will now be followed by the first run in a race at which the result will be of secondary importance for Audi though. 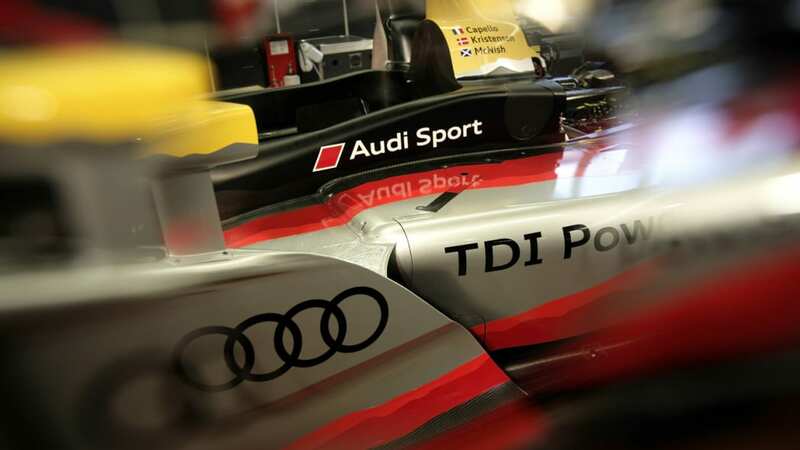 "Le Castellet will strictly be about gathering additional experience with the R15 plus," emphasizes Head of Audi Motorsport Dr. Wolfgang Ullrich. 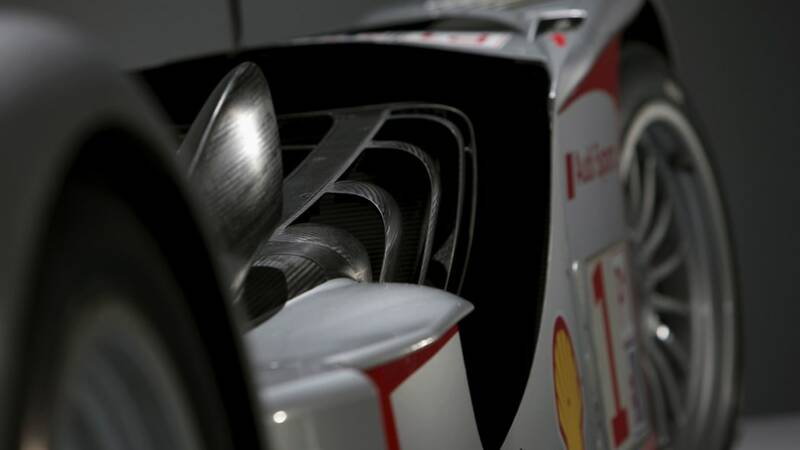 "Racing conditions simply can't be simulated in normal track tests; that's why we're contesting a race at such an early stage." 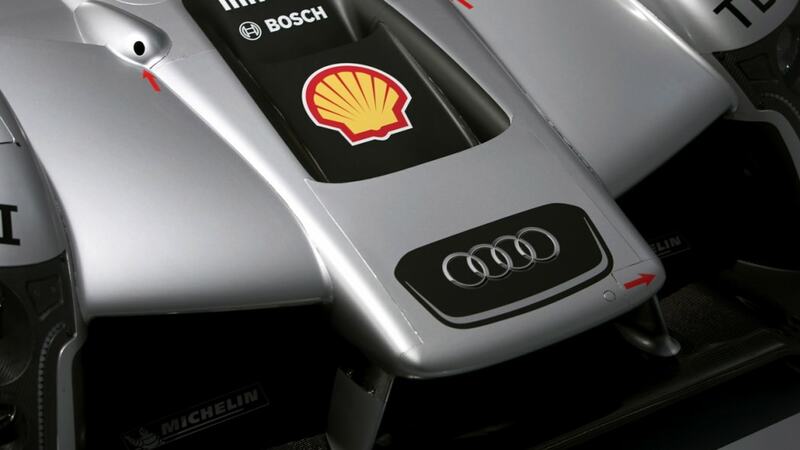 It is planned to field the R15 plus with chassis number 202. 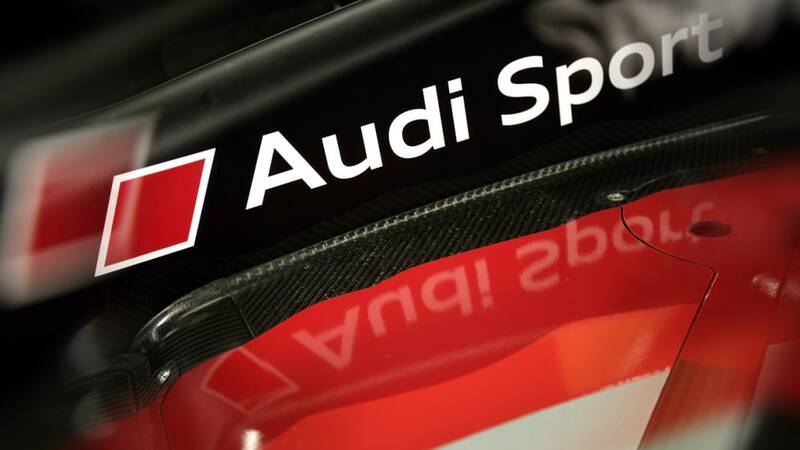 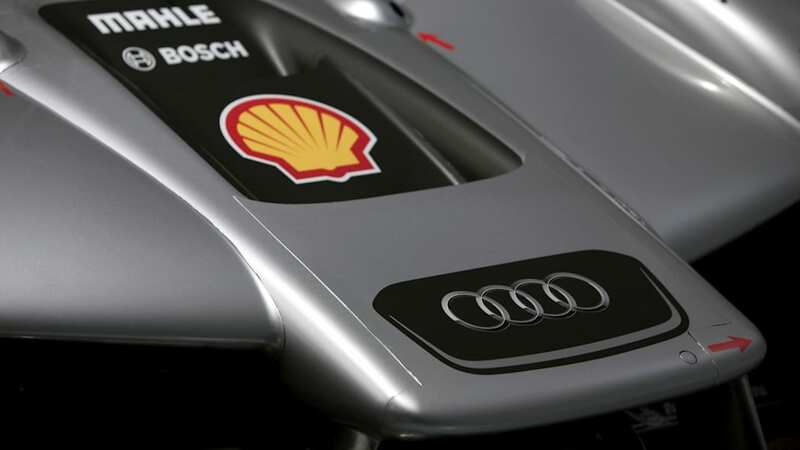 Audi Sport Team Joest has nominated Dindo Capello (Italy), Tom Kristensen (Denmark) and Allan McNish (Scotland) as drivers. 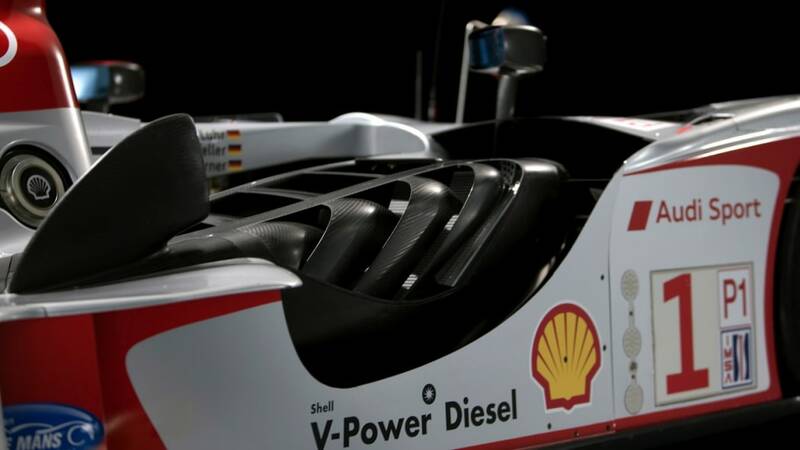 "However, we will only decide whether all three drivers will actually race at short notice," says Dr. Wolfgang Ullrich.